Demant joins VW Oct. 1 after nearly 40 years with GM. Former Opel Managing Director Hans Demant will move to Volkswagen AG to take charge of international project coordination, VW announced Tuesday. Demant, who starts his new job Oct. 1, will report to VW CEO Martin Winterkorn. "The Volkswagen Group's successful growth strategy calls for the intensive coordination of our international projects. We have been fortunate in being able to recruit such an experienced colleague as Hans Demant for this task," Winterkorn said in a statement Tuesday. Winterkorn wants VW to become the world's largest automaker by 2018 with total sales of more than 10 million vehicles. To reach that goal, the company will need to continue its expansion in fast-growing markets such as Brazil, Russia, India and China. Demant, who turns 60 next month, worked for General Motors Co.'s German division for nearly 40 years and became known as "Mr. Opel." On Aug. 20, Opel announced that Demant was leaving the GM family "to pursue other professional opportunities," but declined to be more specific. His last post with the company, which he took on in January, was as GM’s head of intellectual property rights. Prior to that he was head of Opel, a position he held from 2004 until being replaced late last year by current Opel/Vauxhall CEO Nick Reilly. 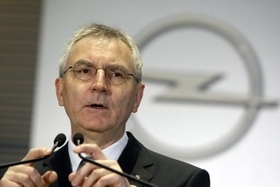 Demant, a shy man who rarely made public appearances, was criticized for remaining in the background during Opel's struggle for survival when GM entered its short-term U.S. bankruptcy. He is regarded as a gifted engineer but critics said he was not tough enough to cut costs at the money-losing division. Demant, who started his career at Adam Opel AG in 1972, is the second high-ranking GM executive to join VW this summer. Former GM global sales boss Jonathan Browning, 51, started as head of VW’s national sales companies on June 1. Browning, who reports to VW Group sales and marketing chief Christian Klingler, was hired to help realign VW’s sales and marketing organization to make it more international. Browning, who has 29 years of automotive experience, resigned as head of GM's global sales, service and marketing last summer and left the company in October 2009.